What are the features of a river? 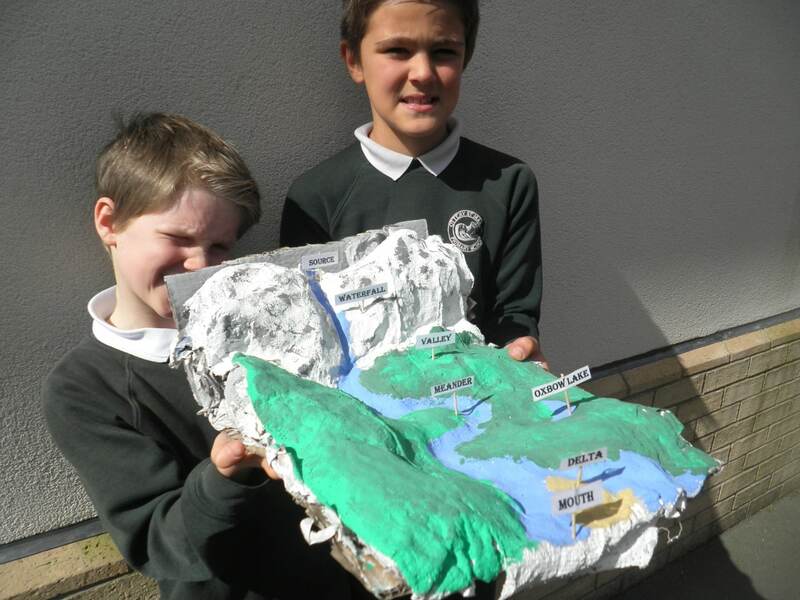 As part of our rivers topic, we made 3D models of a river system. First of all, we built a base using cardboard and newspaper. We then added Modroc in layers to create the landscape. 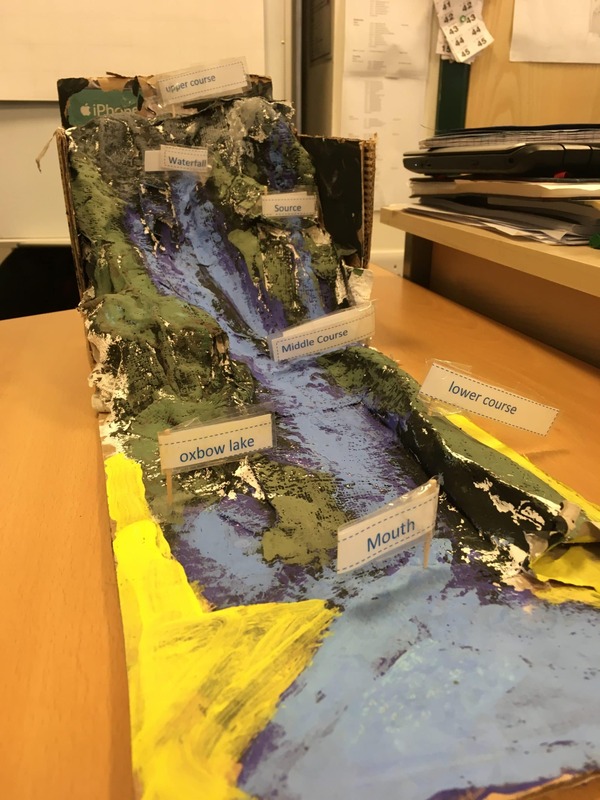 Finally, we painted our models and labelled the river features. 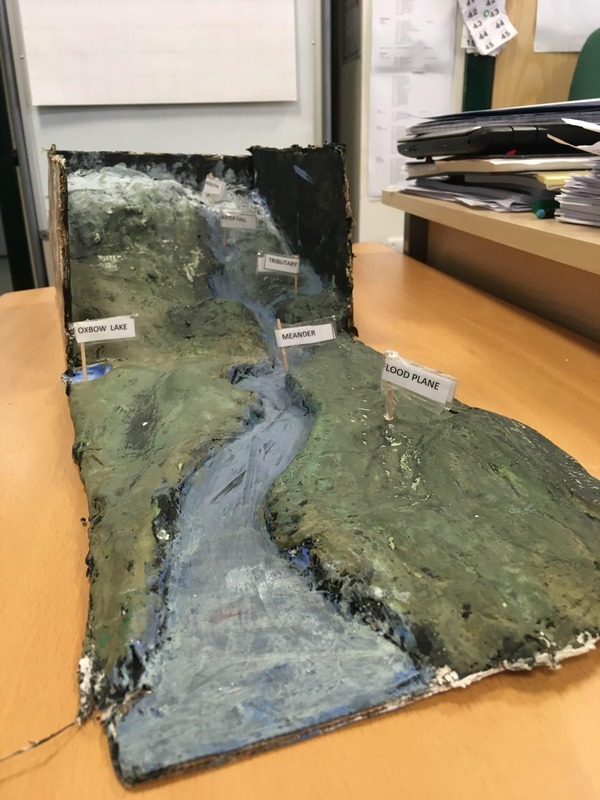 The model made by James and Toby stood out because they worked hard on building the landscape of the mountains and the contours of the land.